This was once called The Viva disco. 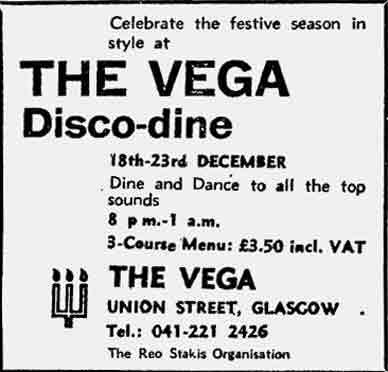 and Vega Disco 1978. 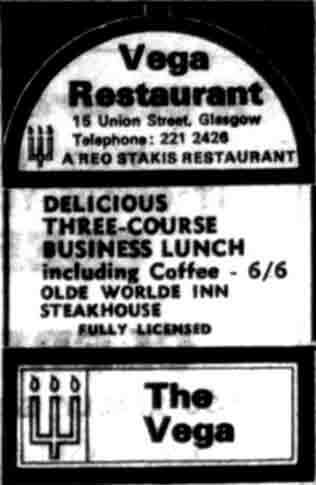 The Cathouse on Union St was also called Deja vu, Heaven and Industria from about 1990-1994. This happened on it’s, unsurprisingly, last night as Deja vu-“ . Thanks to Peter for the email 2015. 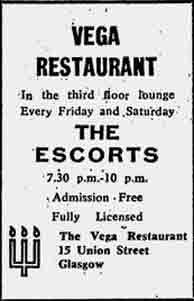 The Vega Disco advert 1970. 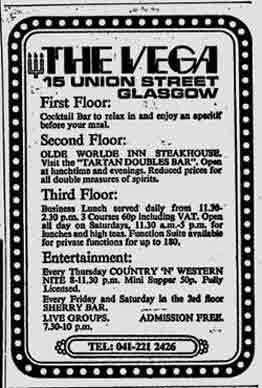 The Vega Disco advert 1978.